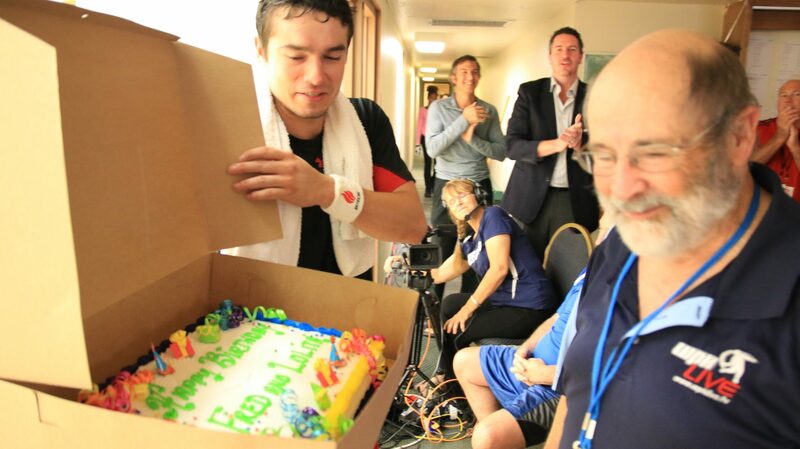 Fred Banfield is arguably the biggest supporter and contributor in the sport of handball and most certainly behind the World Player’s of Handball Foundation’s innovative Video and progressive approach to growing the sport of handball. Now into his early 70’s, and with an artificial hip, Banfield is a regular back at league-night and is playing handball more regularly. The game of Handball has benefited from Fred, just as much or more as the mining industry has and Fred Banfield is not slowing down. 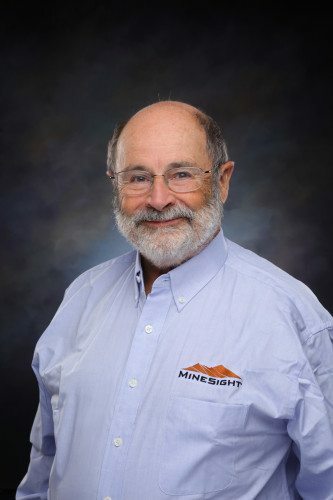 This year’s inductee to the IM Technology Hall of Fame in the Mining Software category, Fred Banfield started Mintec from his Tucson apartment in 1970. As a Colorado School of Mines student in the early 1960s, Fred applied his passion for mine engineering and computers to solving mine modeling and design challenges. Earlier still, Fred accompanied his father – a consulting geologist – on trips into the Canadian bush, cutting line, performing geologic interpretation and coloring maps. Now in the seventh decade of his marriage to mining, Fred presides over a global network of dedicated mining professionals. Through offices in eight countries, Mintec is committed to helping clients solve problems with MineSight. MineSight is Mintec’s comprehensive modelling and mine planning software platform, offering integrated solutions for exploration, modeling, design, scheduling and operations. Still headquartered in Tucson, but no longer in Fred’s apartment, Mintec won this year’s President’s E-Award for Exports – the highest recognition any US company may receive for making a significant contribution to the expansion of US exports. Mintec’s unparalleled longevity in a highly cyclical industry begins with Fred and a simple business plan unchanged in 43 years: make the client successful. The foundation for that business plan lies partly in Fred’s expertise. Few people have been applying computer techniques to mining engineering tasks longer than Fred. He offers decades of experience in mine design, developing databases, evaluating exploration data and open pit mines, calculating reserves and financial analysis. Fred’s more detailed experience includes auditing reserve calculations and mine plans worldwide; the design and implementation of computerized systems for calculation of reserves for oil shale; the design of ultimate pit limits and mining schedules for open pit mines based on economic and geotechnical data (iron, coal, copper, molybdenum, gold); calculation of reserves for gold/silver, lead, zinc, copper, molybdenum, sulfur, uranium, coal, iron, asbestos, and industrial minerals deposits in the US, Canada, Africa, and Australia using manual and computer methods; and the design and implementation of financial models for mining projects worldwide. Don Mills, Chief Geologist at Teck agrees: “Fred has done for mining what Bill Gates and Steve Jobs have done for computing. He recognized the opportunity of using computing hardware and software to advance mine geology, engineering and planning.” In 2007, Fred won the SME’s Jackling Award for significant contributions to technical progress in mining, geology, and geophysics. Yet more than just his experience and expertise explain the success of Mintec and MineSight clients. Fred’s humility and modesty are endearing qualities not always found among leaders. Those qualities are particularly appreciated by his staff and by clients. It’s ironic that the last person who would actively seek a nomination to this year’s International Mining Technology Hall of Fame is the first person to be nominated: Fred Banfield.